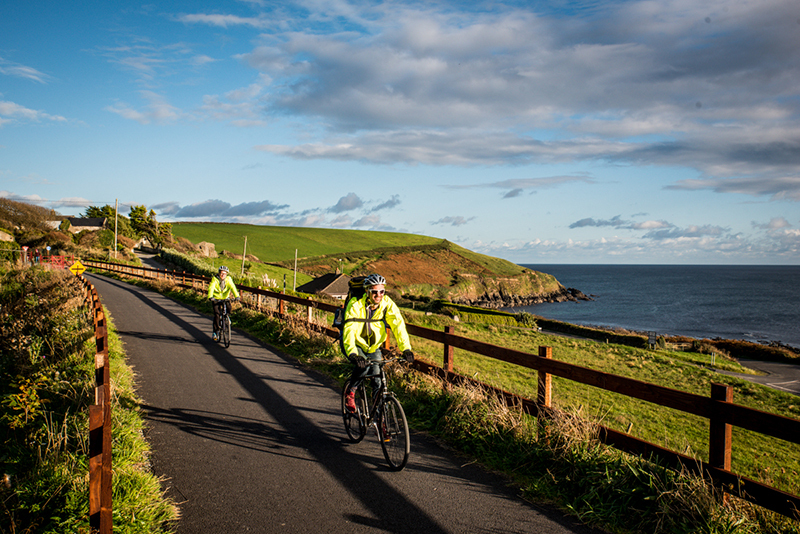 COMMENT & ANALYSIS: A substantial section of the new Waterford Greenway opened to the public last month. 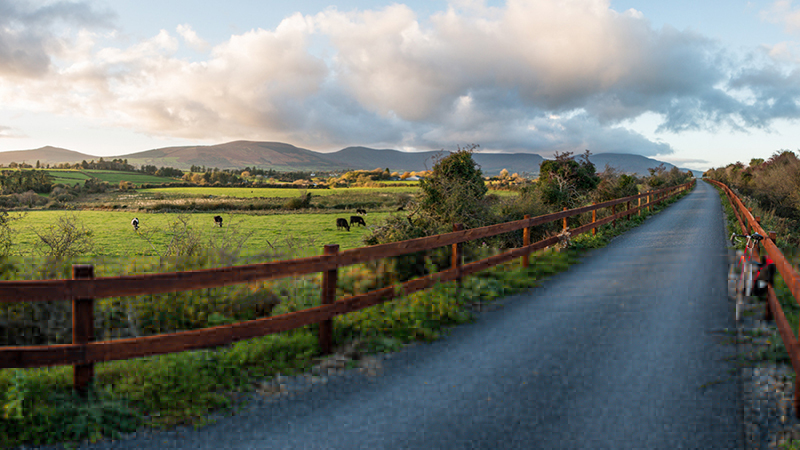 The section, which stretches 23km from Dungarvan to Kilmacthomas Workhouse, is open to pedestrians and cyclists and follows the route of the old Waterford-Dungarvan railway, which last operated as a commercial railway in 1987. 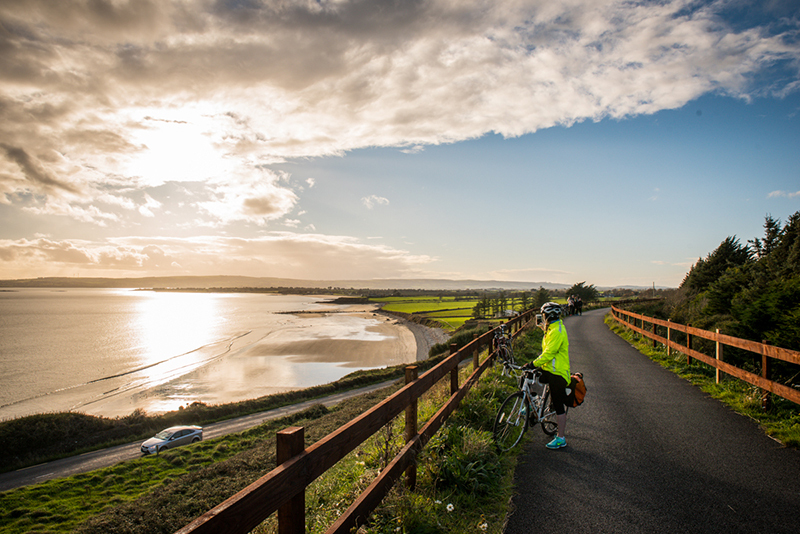 The remaining section of the Waterford Greenway, from Kilmacthomas to Waterford, is expected to open in early 2017, resulting in an unbroken 46km route from Dungarvan all the way to Waterford City. 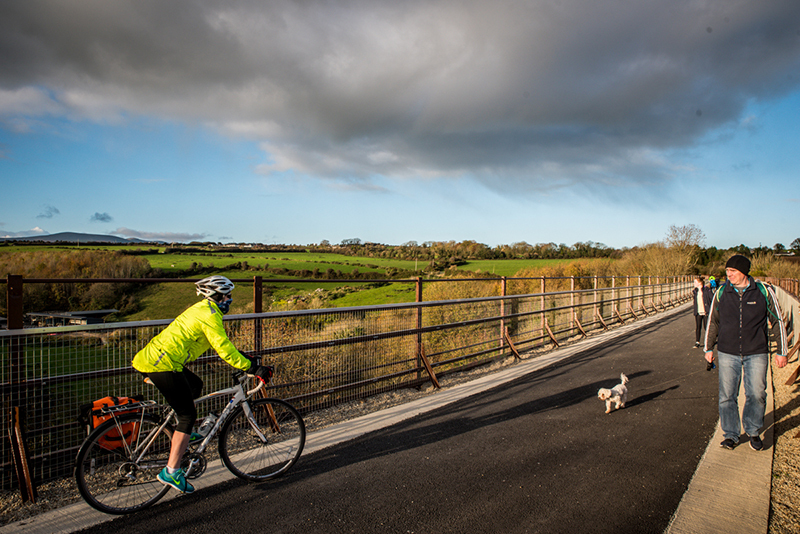 The Waterford Greenway boasts some excellent facilities, not least of which is the 3 metre wide surface which varies in different sections from a chip-and-tar to smooth tarmacadam finish. 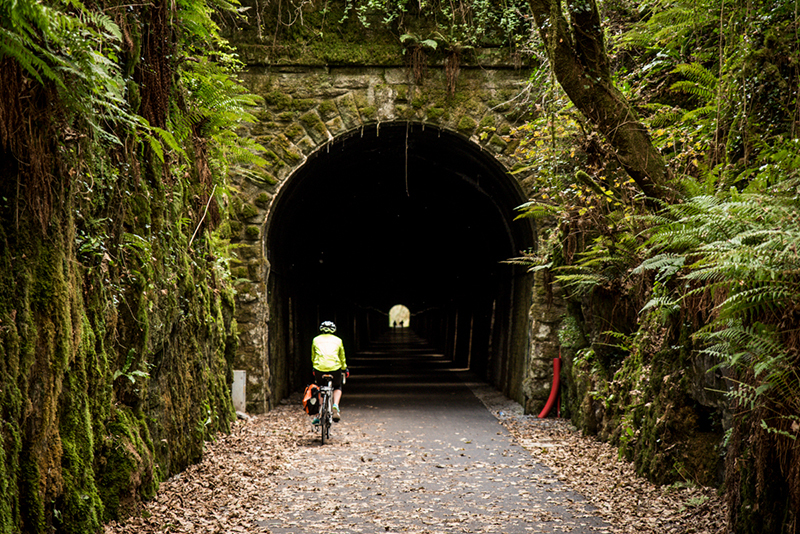 The use of the old railway line means that there are no significant gradients to tackle anywhere along the greenway and this, combined with the absence of motor traffic, means it is suitable for cyclists of any age, ability, or fitness level. Indeed, many of the people that we encountered were cycling in large family groups, with kids ranging from toddlers to teens. 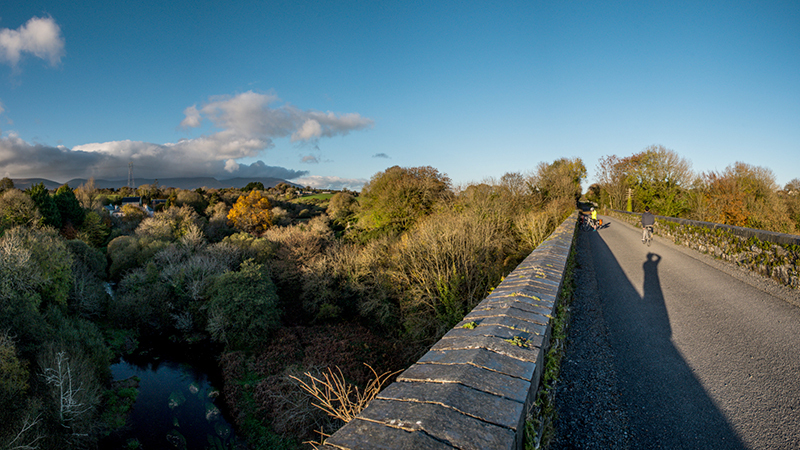 The many highlights along the greenway include the viaducts at Kilmacthomas and Durrow, the 418-foot long tunnel at Ballyvoyle, and the spectacular panorama from high above Ballyclamper Beach. 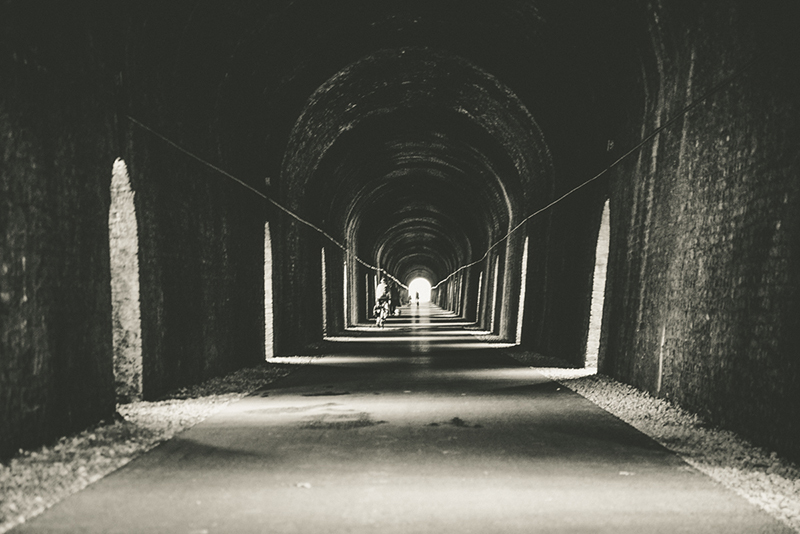 There are no lowlights on the route, with the scenery changing constantly and old railway stations revealing themselves at regular intervals along the quiet, peaceful track. There are numerous dedicated free car parks along the greenway. Private bike hire companies are operating from each end of the greenway, offering a range of adult and childrens’ bikes as well as trailers for babies and toddlers. As the greenway is still quite new there are not yet any obvious places to stop for tea & coffee or something to eat, but it probably won’t be long too before those commercial opportunities are grasped. We parked at Kilmacthomas Workhouse, which has free parking and toilet facilities, and cycled towards Dungarvan. 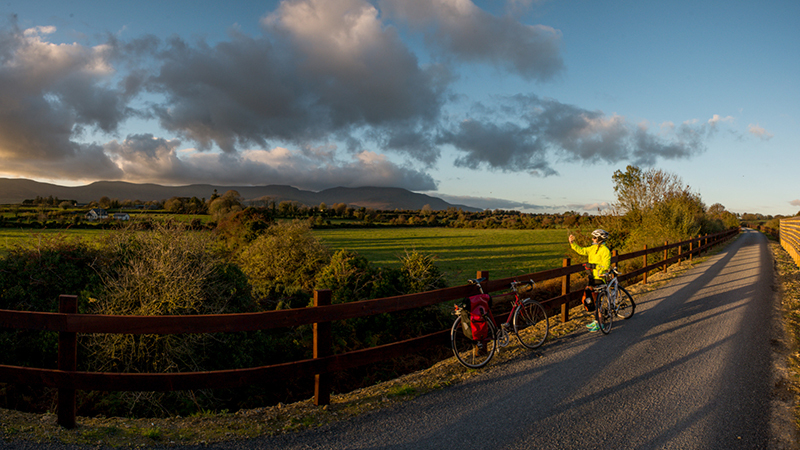 A leisurely cycle, with frequent stops for photos and to take in the views, took us just under two hours to get to Dungarvan. We stopped there for a bite to eat before cycling back along the greenway to Kilmacthomas, with the entire 46km trip taking us a little longer than four hours, including stops. Looks amazing. Can’t wait to try it out. Good on Waterford for getting it done so well and so quickly, though having a recently disused rail line handy no doubt eased objections. I hope it is a great success and encourages progress in many more greenway projects. +1, looks great, can’t wait to try it out. I loved the one in Mayo, this one looks as good as. Chip and tar is not an ‘excellent’ surface for what is part of the National Cycle Network. It is a cheap low quality sticking plaster on rural roads with low volumes of traffic. The hard shoulder of motorways is finished in a higher quality surface. Having cycled on what were the hard shoulders of Motorway, at the 5 roads in Lusk, I disagree that they are always better than tar&chip. However Tar & chip is worse than cycle grade tarmac. It’s better than macadam or the cinder surface used on other greenways though. 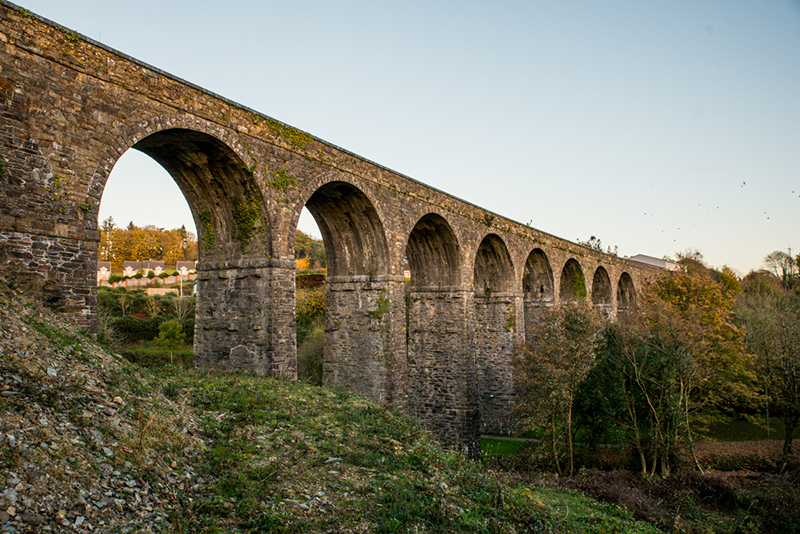 The Waterford Greenway looks spectacular, with the coast view and the tunnel and viaduct. Cant wait to spin down that way. Having cycled from Kilmacthomas to Dungarvan and back as a family a few weeks ago I can say it is a wonderful facility. It is far more scenic than Mullingar Athlone and has a far superior surface than the Western way which it rivals for scenery. We used a tandem for my wife and myself, a boxbike ridden by my son with his son on board and mountain bikes for my daughter in law and 8 year old grand daughter. Access at all points was perfect and all gates could be negociated by all our bikes without dismounting unlike Mullingar Athlone where the tandem was too long to be ridden through the angle at most gates. The asphalt was much better than the tar and chippings which to be fair was still a great improvement over the raw chippings along the grand canal. There is still some work to be done such as fencing but all in all it is a great day out and I am looking forward to the opening of the se ond half in spring.